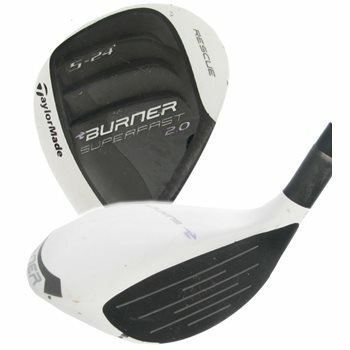 The TaylorMade Burner SuperFast 2.0 Rescue is incredibly easy to launch and exceptionally accurate. It features a new SuperFast package that includes a longer shaft and lighter overall club weight to promote faster clubhead speeds and more distance. The flat white, non-glare finish and black clubface promote improved alignment for increased accuracy.